Anadrol is an anabolic steroid that is used mostly by bodybuilders. It is more common among men, women should avoid using Anadrol do to its Virilization side effects. 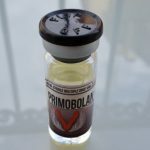 In this article, I will discuss the benefits and side effects of the Anadrol steroid and why it is popular among bodybuilders. The chemical name for the Anadrol steroid is “Oxymetholone”. It is also known as Adrol and A-Bombs. Oxymetholone was developed to treat people suffering from anemia. Today it is used to treat patients who suffer from debilitating diseases such as AIDS and certain types of cancer. There have been several studies performed on the benefits of the Anadrol steroid, the conclusion is that the pros far outweigh the cons of the steroid when used to treat AIDS patients. One particular study was performed to see the impact Anadrol could have on helping AIDS patients gain weight. AIDS patients who were administered Anadrol for 30 weeks gained over 17lbs of body weight. In the study, weight gain peaked at week 20. After the 20th-week weight gain leveled off. In the real world, a healthy person would not want to take Anadrol for 20 weeks, this is why it is one of those steroids that is normally used during very short cycles. From a bodybuilders perspective, Anadrol works great during a bulking cycle, it helps increase strength and promotes red blood cell count. It is true that Anadrol is an effective anabolic steroid but it's not perfect. Taking Anadrol can suppress normal testosterone production and have a negative effect on blood lipids. Anadrol is an oral steroid that can have a turbulent effect on your body and liver. 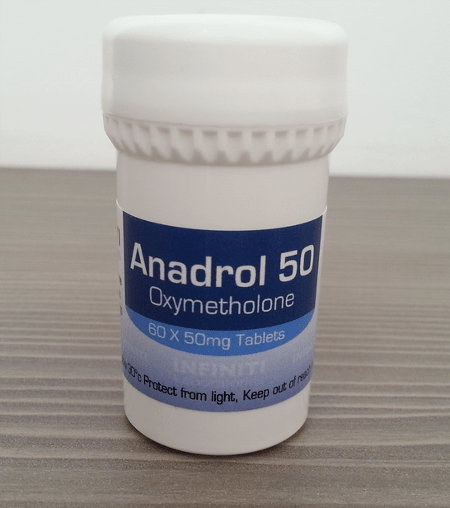 Anadrol 50 is a DHT derivative and a 17-Alpha-Alkylated steroid. A simple explanation is that Anadrol has been altered at the 17 carbon position, this makes it easy for the body to process the chemical allowing it to pass through the liver with close to full potency. Unfortunately, since it is processed by the liver it can cause side effects. Most bodybuilders will tell you that Anadrol will peak in about 3 weeks, however, some bodybuilders will extend their cycles of Anadrol for up to 6 weeks. The half-life of Anadol is 9-16 hours, this means that it stays in your body for that length of time. 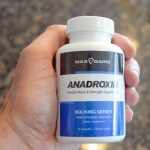 Why do bodybuilders use Anadrol? The main goal of a pro bodybuilder during a bulking cycle is to gain as much dense muscle as possible in a short amount of time. Anadrol 50 when combined with other steroids, can help them achieve their goals fast. For starters, Anadrol does not directly convert to estrogen so the risk of estrogenic side effects are lower than with other steroids. This does not mean that Anadrol does not have estrogenic side effects because it does. There are many anabolic steroids that do cause estrogenic effects and bodybuilders will try to prevent those side effects by taking an aromatase inhibitor. Unfortunately, since Anadrol does not aromatize directly into estrogen taking aromatase inhibitors will not work. Anadrol gives bodybuilders incredible strength and power, this is essential for training longer with more intensity. Anadrol helps improves protein absorption (protein synthesis). Bodybuilders need to ensure that every gram of protein counts, taking the Anadrol steroid makes protein synthesis efficient. There is a lot of misinformation about the side effects that are caused by the steroid Anadrol. For starters, Anadrol is not a side effect friendly steroid, it can cause health issues, then again, oral steroids always tend to have more of a negative impact on your liver than injectables do. Bodybuilders will stack Anadrol it with other steroids like Test, Trenbolone, and Nandrolone. Some will even add insulin and HGH to their cycle. Women who know their steroids well and are in the sport of bodybuilding or even powerlifting will tell you to avoid Anadrol. Women who feel they have to take anabolic steroids should consider a milder alternative such as Anavar or Primobolan. Anabolic steroids are not safe, they can all cause side effects to some degree. Anadrol is one that has its fair share of them and a steroid that should be avoided. Women are even more prone to side effects from this steroid. Before considering any anabolic steroid you should consult your doctor first to fully understand the potential side effects. 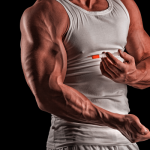 If you are looking for a safe way to gain muscle without affecting your health there are several safe legal Anadrol alternatives that are just as effective, they may not work as fast but in the long run, your health is more important.